When you are arrested for a crime in New York, your reputation, your job, and your livelihood are at risk. You want a defense attorney who knows how to get your life back on track to before your nightmare began. In my experience in the criminal justice system I have seen many individuals prosecuted for crimes they were unaware were crimes in the first place. 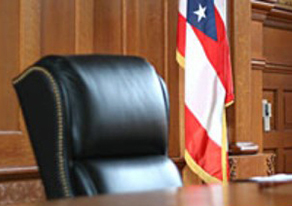 The Law Offices of Patricia A. Wright can provide you with the defense you need. Drug cases are prevalent in New York because they not only include illicit drugs such as heroin, cocaine, and marijuana but prescription medications as well. If you are caught with a certain amount of drugs you can be charged with a felony. Criminal justice agencies on the state and federal level are cracking down on these cases and depending on certain factors, the federal government might take over the prosecution of your case. You need an experienced attorney, whether you are charged with a misdemeanor drug charge or a felony drug charge to stand by your side and help you to get a favorable outcome. Many people in New York are unknowingly walking around with illegal weapons on their persons. Those weapons include gravity knives that easily escape from the handle with the force of gravity or centrifugal motion, a flick of the wrist if you will. Little cans of mace or pepper spray may be purchased for safety but they are also illegal. Martial arts enthusiasts often train with nun chucks or chukka sticks, but under the penal code of New York State, possession of these items is a crime. Carrying these types of weapons are misdemeanors and can land you in jail for up to a year. Gun possession charges in New York are aggressively enforced and depending on what you are charged with you can face a minimum of 3.5 to a maximum of 15 years in jail and if you are convicted the 3.5 year minimum is mandatory. A person’s first time offender status does not alleviate this hard and fast rule. This rule also applies to individuals who carry permits to carry weapons outside of New York State. Patricia Wright, Esq. has the knowledge necessary to defend your innocence. A D.A.T. 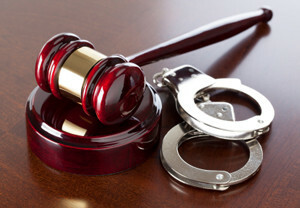 is a process that an arrestee undergoes in lieu of the full arrest process. When an individual is arrested, he or she is usually taken back to the precinct, pedigree information is checked and verified and an arrest number is issued. The individual is then taken to central booking at the criminal court house to be arraigned before a judge. A person who is given a D.A.T. is still arrested and issued an arrest number but he or she is not taken down to the criminal court house. Instead, the individual is given a court date set in the future at which to appear and be arraigned on charges. 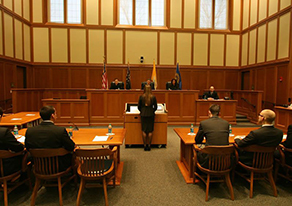 There are various factors which make an individual eligible for a D.A.T. An individual must have a verifiable address within New York City. 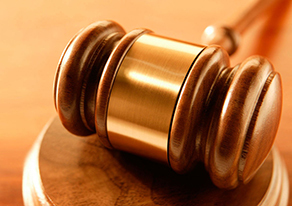 This is to help ensure that a client will return to the designated court date. Several crimes such as shop lifting, possession of a gravity knife, possession of a controlled substance, theft of services and non domestic assaults are typically crimes where a D.A.T. is issued. If you have been arrested for domestic assault you will not be given a D.A.T. 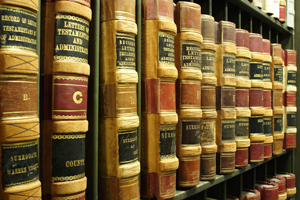 A prior criminal record often precludes an individual from being eligible. No matter who you are, where you were born or what privileges you feel you are entitled to, you are not entitled to drink before getting behind the wheel. Not only will your personal health and safety be at risk, but your family and the lives of others are at risk. When you are arrested for DWI in New York State you will be asked to take a breathalyzer test to test how much alcohol is in your blood. In New York, .08, or the equivalent of approximately one beer, is the point after which you will face serious charges ranging from a misdemeanors to felonies. Also, your license to drive will be suspended and you will be unable to get it back unless there are special circumstances or until after the case is over. 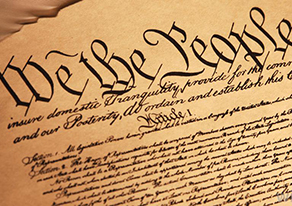 It is every person’s right to have a competent and experienced defense attorney on their side. Everyone makes mistakes and not everyone deserves to be punished to the fullest extent of the law. Patricia Wright can provide the legal expertise you need to get through. Every driver in New York has a client identification number. When you receive a summons or a moving violation and you fail to pay the fine or fail to appear in court you are reported to the New York State Department of Motor Vehicles and your license is suspended. You can be suspended multiple times and they accumulate. After a certain amount of suspensions you can be charged with a felony. When you have suspensions on your license and you keep driving you are at risk of being placed under arrest. It is easy to be caught making a mistake like failing to signal before turning or failing to make a full stop at a stop sign. When a police officer pulls you over, the first thing he or she will do is ask you for your driver’s license which will be checked for suspensions. One suspension is all it takes to be arrested. Make sure you have a competent defense attorney on you side. Patricia Wright Law can also provide you with expertise in various other areas of criminal law as well as land use, zoning and real property law, family law, wills and trusts, immigration law and entertainment law among other areas. Email or call now for a consultation. Patricia Wright represents her clients in matrimonial matters ranging from prenuptial agreements to juvenile justice cases. She represents her clients in a zealous manner while being sensitive to their needs and the difficulties in dealing with matters that family law matters entail. It is Ms. Wright’s mission to make sure that the client comes away from the process in the best posssible circumstance and achieve the client’s goals. You deserve and attorney who will zealously advocate for you. If you are a tenant, you have rights that are protected by law including the right to hot water, heat, the right to a lead free apartment and the right to have an apartment that is in good repair. When your landlord refuses to make necessary repairs or to make provide heat or hot water you have a right to take action against your landlord. You should have access to an attorney who can guide you through the process and make sure that your rights are protected. If you are a landlord, the process of getting your tenants to adhere to the terms of the lease can be difficult at times. There are various technicalities and difficulties that may make it hard for a landlord to evict a tenant. If attempts to reconcile or negotiate have failed you have the right to seek action against a tenant for non-payment or for the tenant failing to adhere to the agreed upon lease terms. 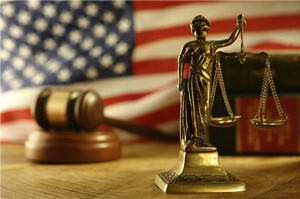 It is often a long and arduous process but you deserve an attorney who can guide you though the process. For fast assistance, fill out this form or contact Patricia by phone today. © 2016 Copyright Patricia Wright. All Rights Reserved. Powered by Psych Media.